This is NOT a piece critiquing specific technologies – one ‘better’ or ‘worse’ than another – but about contributing and challenging factors of working across both legacy systems and the various divergent new systems, and the perceived state of ham radio/repeaters/spectrum ‘climate’ at VHF and UHF. I’ve been involved in amateur and two-way radio systems for about 50 years. That’s not a brag or challenge nor contest, but it speaks to a LOT of exposure to radio systems and the purposes they serve. I’ve also been part of various repeater coordination, technical planning and problem-solving situations. As Technical Committee chair and variously Board member for the Northern Amateur Relay Council of California, this issue has come up in the past, remains unresolved, and will no doubt come up again, but the community at-large needs to ask it to be addressed among any and all involved. No single entity can just drop an idea on the larger community and hope it goes well. I’ve worked with many hams and professionals who have more exposure, but I don’t think it’s about quantity but ‘quality’ – of how much of what we’ve seen, engaged in, and are often called to reconcile – that provides the perspectives and opens up the considerations we face today. “we need more spectrum…”/”we need to better use spectrum”… for digital, narrow-band, etc. The points listed above may inspire any number of conversations about the state of at least the VHF and UHF segments of amateur radio. Any one or several of them coincide or may be in conflict with any other aspect of amateur radio, or the whole of it. That said – amateur radio has always been and always will be a mostly “technical hobby” at some level. While amateur radio has made many contributions to communications technology, we also have to draw from the fact of science that makes it possible. One just needs to accept that, and recognize at what levels attention to technology detail is essential – which is almost all of them in the implementation phases. Use cases vary widely. Technology, not just what you want to do with it as a user, has impact. Technology is at the heart of any past changes in this hobby, and will be at the heart of any changes to come – by coincidence or necessity. You may not “be technical”, so you need to let others be technical to facilitate what you want but cannot do yourself. Technical aspects are involved in at least half of the above. We’ve otherwise always been free and able to choose and provide for “special interests” be they technical or on-air operations of purpose or topic. If we don’t find something to our liking we might try to grow our own affinity group/system. The dues/cost aspects of joining a “repeater club” and participating is basically no different for a non-repeater ham club. Members get the benefit of assets/activities of the club – Field Day, special DX stations, club picnic, the ARES van, training, for fair contribution to any costs. Yes there are extremes of closed/private/dedicated repeaters, as well as ‘open’ systems with no specific direction where you may or may not find conversations to your liking. Remember these as we move along here. As many digital system implementers may not have been able to identify and coordinate and cooperate with existing local systems, they are not ‘registered’ with or otherwise publicly known through ‘normal’ repeater-listing resources. In 2013-2014 the conditions of ‘digital’ interests imposed themselves by hijacking agreed-upon simplex frequencies, some packet frequencies, and imposing mid-‘channel’ splits producing and subject to guard-band spillover reached a near-fever-pitch in Northern California. There was a cry/demand for the coordination body to re-farm VHF and UHF to create more pairs for digital interests, or perhaps kick less-active analog systems off-the-air so ‘better’ digital systems could exist. most of the “digital folks” didn’t understand the basic concepts of guard-band and interference mitigation as they’ve “never heard interference on their digital radios” – of COURSE NOT… interference doesn’t pass through the digital decoders, etc. None of that accounted for figuring out which way any one of the 100+ repeaters would move up or down, and when, to make room for the new channels. Such a logistics and technical nightmare had only ‘recently’/previously been done moving Southern California away from 25 KHz to 20 KHz spacing at UHF. What had been hoped to take only a year took more than 3 painful years for their community. NONE of that accounted for the fact that probably 99% of the radios in use by the 70,000 hams in California, 40,000 in NorCal, nor any of the hundreds (thousands?) of visitors to California would ever be able to be programmed for many/any of the “new frequencies” that might be ‘created’ in such a desperate, radical scheme. Ultimately, countless repeater systems might have to be rebuilt or replaced. Countless user radios would have to be replaced – with, if and ONLY if enough ham gear manufacturers had suitable replacement models to purchase. Since many of us have more than one VHF and/or UHF radio – let’s just guess that we’re talking about at LEAST 80,000 mobile rigs at $200-400 each would have to be acquired over some 1-3 year period of time. That’s $16M-32M of new ham gear. Who knows if Alinco, Icom, Kenwood and/or Yaesu separately or combined could meet that production level. Rather than living up to a mantra of “spectrum efficient”, they over-stepped into being spectrum ignorant and arrogant. When presented with the fact and reality of spectrum management, they claimed it was being made too complicated, difficult and not timely enough to satisfy them. Before we can even begin to have a conversation about spectrum, much less prescribe a solution to wasting it, we need to understand what spectrum is and how radios present themselves within it, how it is ‘used’ or consumed, and why. MOST of amateur radio voice operation is what is considered “wide-band” – typically at or under +/- 5KHz spectrum use centered around a carrier frequency – from the lowest end of ‘HF’ to the highest reaches microwave allocations. The ‘spectrum’ we occupy when transmitting voice is recommended, realized, and adopted for the most audible, ‘readable’/understandable aspects of the human voice – as was realized by “the phone company” many decades ago. No need to design and build phone lines for the entire range of human hearing (~20 Hz to ~20 KHz) when most voice attributes occupy only from roughly 200-300 Hz up to 2-3 KHz. Thus +/- 5 Khz is/was a “good number” for AM and FM communications, while many of us may filter what we receive using SSB to 2.4 KHz, even down to 1.8 KHz if there is too much high-frequency noise or adjacent signals. A variety of FSK and AFSK and digital over HF use similar or less spectrum. Commercial two-way FM (Part 90 and specific Part 95 services) started out using ‘old’ wide-band of +/- 15KHz, which sounded really good, but as use increased and technology improved, there was a shift to what was then called narrow-band, is now the new wide-band in the presence of +/- 2.5 KHz “new narrow-band.” Seems everything can be re-defined if it feels better to do so. Band-plans/spectrum use were built around +/-5 Khz transmitted signal bandwidth PLUS some protective guard-band/signal-edge margin to account for sideband noise, frequency control tolerances, etc. – so +/- 5KHz stations, 10 KHz of spectrum use/occupation, resulted in spacing of 15 KHz between channels/uses to mitigate noise and interference impacting others. The same considerations exist for “new narrow-band” – +/- 2.5 KHz or 5 KHz of transmitted signal bandwidth or occupied spectrum is given some guard-band/edge protection resulting in channel spacings of either 6.25 KHz or 7.5 KHz depending on the revised band-use planning. Along with the occupied bandwidth, of course we have to ensure that transmitters and receivers stay on and within their assigned channels – so there are prescribed frequency stability factors. For ‘wide-band’ base stations had to maintain stability of 2.5 parts-per-million (ppm) while mobiles and portables only 5 ppm. With the new narrow-band EVERY radio must maintain 2.5 ppm stability. Very real technical factors, stringent implements, exist to protect all users from themselves and each other, lest chaos ensue – and it’s usually the existing analog users who would suffer because they don’t have the ‘benefit’ of digital processing masking the very real world characteristics of RF problems. For decades we have been able to present, leverage, utilize and prove ourselves as having some worth/value to the hobby, the public service, to served agencies, because we could and did build very resilient, high-performing, ubiquitous analog FM voice ‘systems’ and methods – both simplex and repeaters. Our equipment, be it crystal or synthesizer ‘controlled’, user radios or repeater systems, were built and implemented following known best practices of commercial and public safety systems. Band plans, simplex allocations and repeater pairs mostly well-known, ubiquitous. Just like commercial and public safety systems – because that’s mostly where VHF and UHF analog FM systems came from. Chances are 99.99% of hams could go from one end of the country to the other and communicate with most/all others reliably. We have recently added secondary ‘expansion’ and access schemes such as EchoLink, IRLP and AllStar, but the core of the system was self-contained and controlled RF. The core of the systems were/are also based on known, recognized, accepted technical standards and coordination as far as frequency/channel allocations, bandwidth, deviation, access tones, and these were either readily assumed and/or openly coordinated and published for most everyone to know about. We mimicked and expanded upon known good reliable common commercial and public safety standards that ‘everyone’ can or could know. Who back in 70s and 80s not find and freely use a 34/76, 34/94, 16/76, 46/88, or 28/88 repeater system almost anywhere in the U.S., plus/minus a “whistle-up” single-tone activation ‘code’, easily facilitated multi-PL tone encoder, etc. ?? Yeah – those days are well behind us, but still… repeater directories, the Interwebs, and synthesized radios expanded accessibility to the Nth degree. As all this evolved and grew, generic band-plans, repeater pairs, and other mostly-known accessibility evolved further. Repeater pairs were mostly standardized. Single-tone access went away in deference to sub-audible/PL, and all radios today support just about any known, reasonable frequency and access imaginable. To some extent we can anticipate and readily adapt to the various ‘standards’ of band-planning and repeater pairs, but better and perhaps only if we all ‘get’ how spectrum awareness is available and utilization can be known. As well, no matter how ‘cool’ or “no advanced knowledge required” might be projected, advanced knowledge IS ALWAYS required for things to work properly, reliably, consistently. Hiding real-world science behind a fancy web-interface or ‘app’ GUI does not mean serious properties at RF levels no longer exist. A strength of conventional “old world” analog is that it never or rarely depends on 2nd, 3rd, 4th party infrastructure, service or access beyond our control. The converse, weakness, error-prone condition of digital ‘appliances’ is that you can easily be fooled and deprived of critical situation awareness – both system-wise and beyond. But there is still more equally essential characteristics to how ‘digital’ radio tries to interject and impose itself on an otherwise ubiquitous well-known user-world. The fact that the ‘advantages’ of digital systems frequently depend on the very infrastructure amateur radio is relied upon to displace/backfill when it fails, undermine digital’s effectiveness and potential benefits. The costs are variously new/used values, depending on your options for scrounging gear. If you install either at a non-commercial location, some cost and ‘quality’ issues may be over-looked, but should not be. Unless you get a good-friend deal for free rent at a commercial site, you might pay $50-150/month at some commercial locations. You should ALWAYS have liability insurance – through the ARRL affiliated club provider or otherwise. It’s almost unheard of that a “digital box” will be stand-alone – at least in the case of DMR, and often D-Star – so you immediately have an infrastructure concern – be it AREDN or commercial Internet connection. At that point you probably might have “more coverage” than a comparable analog system, or not. Where you don’t have RF coverage someone might implement their own hot-spot, which is actually not part of your repeater system. For every system that expands coverage, there is another frequency or pair consumed. This was quite evident in DMR growth in the San Francisco Bay Area, with many claims of exercising “better spectrum efficiency” – yet at least 60 new repeaters sprang up on various hilltops and in garages, all on different established or made-up pairs with no determined frequency/pair re-use – and often conflicting with known coordinated systems or causing ‘interference’ to them by not heeding basic technical RF facts. But OF COURSE digital doesn’t get any interference… that users can actually hear behind the magic of the digital ‘masking’. Yes, a couple of digital system types are narrow-band but that does not mean they can be crammed in anyplace or amid existing systems. Implementation of digital systems is not like buying an iPad or PC and simply plugging it in. Bottom-line so far is that ‘digital’ has not proven to be more “spectrum efficient” in various ways, and in fact can prove to be more problematic and overall inefficient. But wait… that’s not the end of the story because this is where technology and not-technology unravel and present significant challenges to all. Analog FM is still ubiquitous and deliberate in public safety, NIFC to be specific, thus far easier to establish, maintain and modify communications plan implementation with analog equipment than digital. The prevailing argument ‘against’ doing what/as the commercial people do is “BUT we’re just hams, the technical requirements are too strict/difficult/expensive.” – as-if they get an excuse for taking very real and necessary technical things that can have significant negative impact on others too casually. Unfortunately you cannot get the benefits of the so-called commercial technologies without actually implementing them as-designed – digital or analog. The huge unappreciated differences between commercial and amateur radio practices reducing bandwidth, re-allocating spectrum and replacing equipment are expertise and economics – literally and figuratively. Planning and scheduling who moved to which channels and when was huge challenge perhaps not unlike multi-dimensional chess. “The plan” took years of evolution to consider and set deadlines – for manufacturers and users. Obviously displacing thousands of base and mobile radios was going to be VERY expensive. For strictly commercial users, there was enough time passing that most fleets were old and unsupportable and due to be replaced anyway. For public safety – our tax dollars were in play. 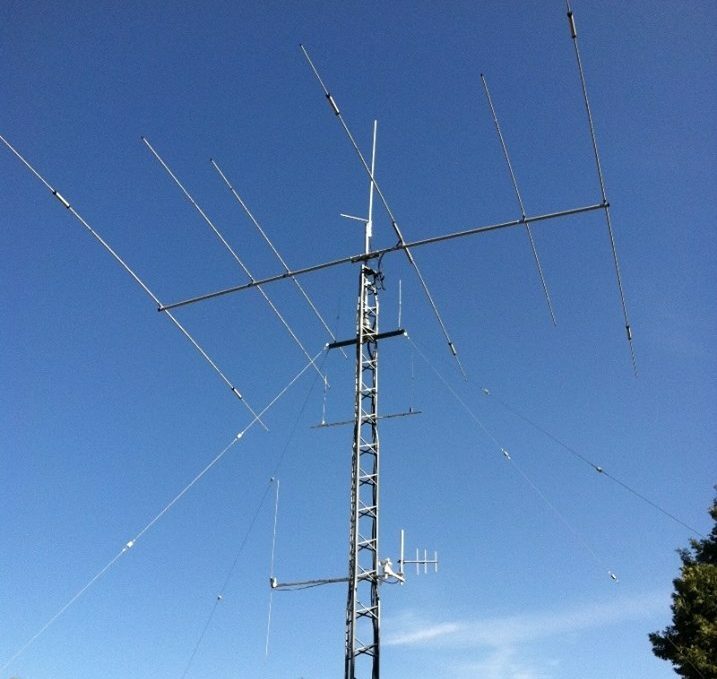 If amateur radio is to ‘enjoy’ the benefits of narrow-banding/”spectrum efficiency” – a LOT of time and money needs to be spent – by manufacturers, users and “spectrum planners” – which presumably would be the ARRL, about 30 “repeater coordination” groups, and 780,000 hams. Today those numbers are probably 500 times greater overall, and the economics of perhaps 500,000 brand-name VHF or VHF/UHF radios @ $300 each is a staggering amount of money of “non-compliant” radios going into a narrow-band concept. I’d need to check some numbers but it may not be too far-fetched to think that California might have as many or more repeaters than most of the rest of the country combined!!!! For a variety of impractical technical and cost reasons – it’s essentially ineffective to imagine much less try to impose better filtering and stability on originally ‘wide-band’ radios – whether or not they cost $2800 or $28. Making a transition in technology ALWAYS brings cost/’complexity’ – AM to SSB, AM/SSB to FM, FM to…? Equipment aside – no two of the 20-30 “repeater council/coordinating” entities or state/regional band and frequency allocation/management schemes are the same. If they couldn’t cooperate on the existing ‘legacy’ plans for over 40 years, I can’t imagine it will be easy getting them into the same book much less the same page today. Change is usually hard – especially for those that would have to make the changes. The hard part for those who want changes made to accommodate them, is waiting. Another hard part for those who want change is realizing what they hoped to escape – that their technology has to work within, cooperate with, existing technologies. In the world of RF, “we’re better” cannot be determined just by the configuration on a computer screen – there is still a significant air-interface that MUST be regarded. Anything new needs to help itself and others determine how to cooperatively work itself in to an existing community-at-large effort, NOT just impose new/better/shiny digital. There is always demand for new analog systems too. Anything like this is also an opportunity to consider and work with other hams across the country, some of whom have already invested in “narrow-band re-farming” which may or may not be a workable model compatible with other regions. Would there be allocated a specific “digital segment”? Probably not. Why block out spectrum that might not be fully populated and deprive other stressed technology needs/wants? Who/what would be served better and how? We’re not all going to “go digital” – unless it’s a regulatory requirement, and at that we’d need to consider how to mitigate infrastructure dependencies and facility additional technical expertise and requisite new test equipment to handle all digital methods. We have to think bigger and better about this and so far not enough are will to acknowledge the issues, just ‘want’ for their ‘problem’ to be solved – by others, at others’ expense. Given an existing realm of ubiquitous and reliable systems, imposing something new has to help determine a better, fair, comprehensive, informed, respectful approach. We also have to accomplish any changes without disruption to established critical services may entities and served-agencies have built into their planning based on the “if all else fails” ‘promise’. Nothing can, or should change unless/until all interests, expertise and real-world conditions are openly available, realized, respected, considered and dealt with – from the realities of RF “air-interface”, the science of RF whether analog or digital, available equipment, replacement/conversion costs, logistics and ample timing. Better if such cooperation is established at most/all the national level and resolved with few or no exceptions. First, everyone has to acknowledge and respect each other. Second everyone has to acknowledge and respect the relevant science. Third, everyone has to acknowledge and respect and reconcile the logistics, time factors and costs of change. Finally, before anything can begin, or will be accomplished, the whole of all local/state/regional amateur radio operations in VHF and UHF spectrum need to be compelled or voluntarily recognize and determine a means to recognize and begin the formative processes to address recent past and anticipated future pressures on popular spectrum, and establish a forum to work through it. This is long overdue but for the reluctance of both sides to acknowledge each other and accept the significant challenge to resolve.